Our Houston-based attorneys have helped parties on both sides of breach of contract disputes. For example, in WTG Gas Processing, L.P. v ConocoPhillips Company, Robert Burford obtained a summary judgment for his client, ConocoPhillips, in a $500 million breach of contract, fraud and negligent misrepresentation action. On the other side, Brent Perry obtained and collected a $4.5 million breach of contract judgment for a Texas consulting firm against a Korean ship builder in Ikanco, Inc. v. DSME. Burford Perry attorneys regularly handle breach of contract case involving disputed amounts more than $100,000. While contracts are extremely useful in solidifying business relationships, disputes can arise when the terms of a contract are broken or unfulfilled. When this occurs, clients need an experienced breach of contract attorney to protect their rights, assets, and business. 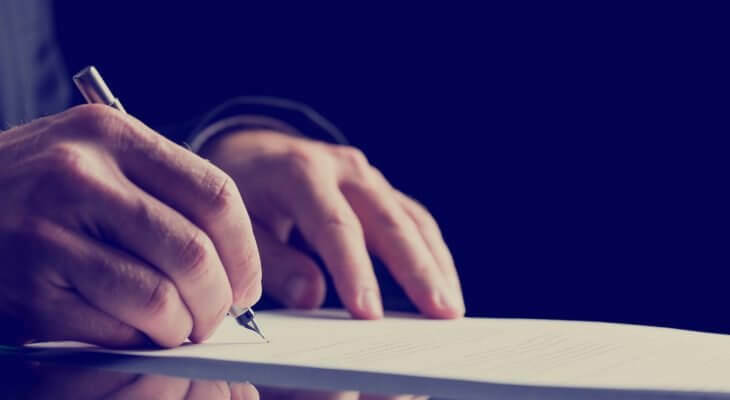 Burford Perry handles breach of contract cases involving formal documents drafted by a lawyer, letter agreements, or even oral or private handshake agreements. Informal and verbal agreements can be upheld in court. A valid contract is formed by an offer, an acceptance, a meeting of the minds, each party’s consent to the terms, and, generally in the case of a written contract, execution and delivery of the contract with the intent that it be mutual and binding. Whenever a party to a contract fails to uphold its promises, a breach of contract has occurred. Or when one party makes it clear they do not intend on fulfilling its promises, or does something to prohibit another party from fulfilling its promises. Breach of contract can occur with employment contracts and non-compete agreements, insurance contracts, partnership agreements, wills and trusts, purchase agreements, sales contracts, and shareholder agreements, among others. Texas law recognizes a claim for breach of contract. The elements of a breach of contract claim are: 1) existence of a valid contract; 2) performance or tendered performance by the plaintiff; 3) breach by the defendant; and 4) damages sustained by the plaintiff as a result of that breach. Breach of contract can have severe consequences for businesses. Understanding your rights and obligations after a breach is important. Parties often unintentionally waive their rights, or fail to take proper steps to preserve their claims for damages. The proper action to take when you believe that a contract has been breached is determined in part by whether the breach is material or not. It is a fundamental principle of contract law that when one party to a contract commits a “material” breach of that contract, the other party is discharged or excused from further performance.” The non-breaching party may also recover their damages. Alternatively, in certain cases, the non-breaching party may enforce the contract by suing for specific performance. When a breach is immaterial, the non-breaching party is not excused from future performance and may sue only for the damages caused by the breach. To determine your rights and remedies after a breach of contract or contract dispute, it’s important to engage an experienced business trial lawyers like Burford Perry that can advise you on your next move. If you are a victim of or if you have been accused of breaching a contract, you first need to immediately contact Burford Perry. The earlier in the process you engage an attorney, the better your chances of resolving a matter on favorable terms. A breach of contract is the most common source of business disputes. Experienced business litigation lawyers like Burford Perry will be able to understand the terms of a contract, and determine the best course of action. Sometimes breach of contract disputes can be settled amicably out of court, but other times a resolution can only be reached through litigation. At Burford Perry, we’ve helped parties on both sides of contract disputes, which gives us a unique perspective on how to resolve contract disputes. If you are in a contract dispute, contact Burford Perry, to learn about your legal options in a consultation.